It’s really interesting to watch Microsoft’s Xbox 360 branch out into areas outside of gaming. They’ve used the Xbox 360 to sell music, movies and TV shows among other things. Now, they’re using it to get gamers to be more involved and knowledgeable in the upcoming US elections. How do they intend to get their users to fulfill their civic duty? Offer them free stuff tied to the highly anticipated Halo 4, of course! 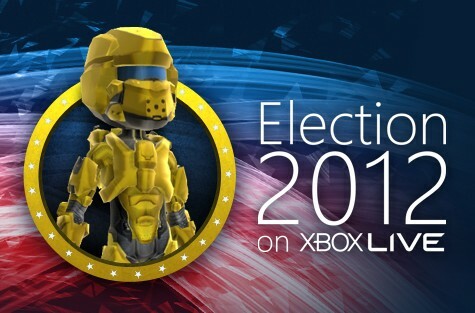 Halo 4 fans, or anyone who just want free stuff for their avatars, will not only get to see the crucial debates live but will also be able to participate in an interactive polling system. Wondering if you can submit questions to the debate? Sure you can, via Twitter. All you have to do is include the hashtag #XboxPoll when tweeting your question for the candidates. Those who fulfill the requirements will be notified via e-mail “on or around 11/1/2012.” The e-mail will contain a token that will allow users to download the Halo 4 avatar armor from the Xbox Live Marketplace. The US elections happen on November 6th. Halo 4 hits stores on the same day. Will you be voting and grabbing a copy of Halo 4 on the game’s launch day? Let us know in the comments below!